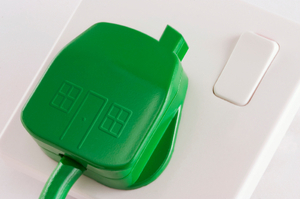 Two weeks since the government launched its new energy efficiency scheme the Green Deal, a new survey has revealed that almost two-thirds (61%) of the public have still not heard of it. Despite this latest information however, key figures in the sector as well as the Department of Energy and Climate Change (DECC) have said it marks a promising start to the new scheme. The YouGov survey, commissioned by Behaviour Change, found that 39% of the 1,960 adults surveyed were aware of the scheme. Designed to tackle rising energy bills and cut down carbon emissions from UK households, the Green Deal offers energy consumers the opportunity to receive subsidies on insulating parts of the home, such as walls or lofts, with some firms also offering cashback incentives to purchase a new boiler. In an interview with BusinessGreen, Behaviour Change executive director, David Hall, said he felt the numbers represented a good start for the new government scheme. He said: "From a marketing perspective having over a third of the public aware of a new product or service within a week of its launch is a very creditable performance." Kingfisher chief executive and chair of the Green Switchover project, Ian Cheshire, said: "It's very encouraging to see that the Green Deal is already beginning to cut through so early in its existence. "This progress shows that the government, businesses and charities can be a powerful combination when it comes to getting new messages out to the public." The DECC echoed the thoughts of both Ian Cheshire and David Hall, adding that the results suggested that the government's communication campaign seemed to be having the desired impact. Certainly, the latest figures would suggest more progress than earlier in the year when a similar YouGov poll in the run up to the launch of the Green Deal found that an overwhelming four out of five (81%) of those surveyed had not heard of the scheme.